The gorgeous landscapes of Himachal Pradesh hide a lot of charm. It has been a favourite destination of many because of its pristine attractions and roads that lead to unique surprises. Himachal Pradesh is diverse state, worth exploring. But sadly, the plight of over-tourism has affected it a lot. With several travel agencies, resorts, trekking companies, adventure camps operating in the state, it is obvious that the region will be overrun with tourism in the coming 5 years. With mass tourism, the epidemic of plastic and garbage has also arrived in the state. The need to make Himachal clean and green has brought many individuals and NGOs together to keep the ecological balance the way it should be. Often we end up facing confusions about the need to travel responsibly. If a certain way is more harmful or a certain way will end up exploiting locals despite being more Eco-friendly. As a traveller, you too should try a better sustainable way to travel in Himachal Pradesh. I am sharing a few tips which you can ensure that the state doesn’t become a victim of pollution and global warming in the coming years. Travelling in car is comfortable but it brings pollution and traffic jam to these tiny roads. If the idea of your travel is to make the life of locals inconvenient then you can totally go to Himachal with personal cars. But the buses that travel to various regions of Himachal Pradesh are a better and cheap way to ensure that you become part of minimal carbon footprint in the region. The tiny roads of Manali, Shimla, Mcleodganj, Kasol and Chamba are not made to accumulate so many personal vehicles. The sooner you move to private taxis and buses, the faster you’ll assure that Himachal regains its ecology to some extent. The biggest troublemaker behind the pollution in Himachal, are the plastic mineral water bottles. The rivers provide fresh and clean water and most of the locals use them for their daily needs. You can also use the portable water purifier if you are not really interested in drinking tap water. Shops around Manali, Kasol, Mcleodganj offer water refilling in 20 rs, this way you can save a lot of money by avoiding mineral water bottles. Resorts and super luxury hotels have contributed a lot in growing pains of Himachal Pradesh. These establishments are owned by the outsiders who don’t contribute to the local economy. By staying in local stay homes, you’ll get a chance to observe local Himachali life, up-close. At the same time, you’ll find a chance to speak with locals on ways to avoid plastic consumption in their area. Hostels in Himachal Pradesh are also a great way to assure ecological travel. You share common room, washrooms, and electricity points so there is less consumption of resources compared to hotels. Camping should be done responsibly. It should be your duty to make sure that the place where you are planning to pitch your tent is not a protected or ecologically sensitive zone. Also, you can ask a local to let you pitch a tent in their farm or outer compound outside their home. I understand that this is next to impossible, but if you want to try then all you need to do is pick up two or three bottles and fill them in your rucksack. Imagine if every teammate does the same, and those who follow you copy your actions, the higher altitudes of Himachal Pradesh will be free of plastic pollution in no time. I understand that your idea of travelling is exploring and enjoying with your friend. But volunteering at an NGO that works in maintaining ecological balance and cleaning the garbage off the trails can be something worth enjoying too. NGOs like Waste Warriors, Healing Himalayas and many similar ones need volunteers and you can contact them for their next cleaning program. Small steps can lead to a big change. Your contribution in Himachal Pradesh’s sustainability will help both, the people from the mountains as well as the plains. If Himachal Pradesh comes under the plight of global warming, issues like irregular rainfall, less or no snow and lack of water in rivers will arise more frequently. Recently Shimla saw similar issue when the city ran out of water. Once the hills run out of water, the plains will be the next to suffer. Temperature rise will be uncontrollable and lack of rain will make things worse. Great post! True for every place of natural beauty, be it Himachal, Uttarkhand, or NE states, which were untouched even until very recently. I can already see the ill effects of irresponsible tourism in my home state of Meghalaya. Upsets me immensely. Responsible travel will make a lot of difference but most people are not there. There is a lot of awareness today and I hope every traveler makes at least one ‘sustainability change’ in the way they travel. That will go a long way and it isn’t that difficult too.For e.g, one of the things I have started doing is carrying my own water bottle wherever I go. 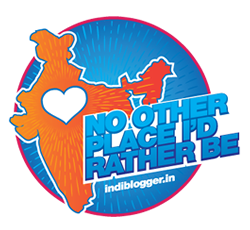 At times, bloggers like us also hold accountability for bringing out those lesser known places for all and sundry! So upsetting to see the rubbish so carelessly discarded. I never will understand why people do that! It is such a shame to spoil the natural beauty of the world. This looks like a fascinating place to travel to. No one values the environment. A hard truth. Himachal Pradesh is beautiful and its so sad that irresponsible tourists leave behind their garbage polluting the beautiful world we live in. I love your idea that if everyone did a little to help we can soon make a difference. Wow! Those photos are both eye-opening and heartbreaking. I hate that people have such little respect for the world around them. Thanks for sharing and hopefully this makes someone think twice before just leaving their mess for someone else to deal with. I can understand. More heartbreaking when you see it with your own eyes. Oh sustainable living is so important. These are some great tips and you’ve touched on a lot of great subjects here. I love the idea of using a thermo flask for water! Thanks for sharing your thoughts and dropping by. This seems like a truly beautiful way to give to others. I just hate that people would visit a place and destroy it. This is such a great post but very sad at the same time. We are ruining our planet and the amount of trash everywhere is overwhelming. I’ve started using reusable water bottles instead of the disposable water bottles, and am more conscious about convenience packaging that ends up filling up landfills. I totally agree with you … Plastic must be banned … Here in the Netherlands a new law will be issued. No plastic plates / cutlery and the like may be sold anymore. Now just wait and see until it is no longer possible to sell plastic bottles, and the world is a lot cleaner. Some of the european countries have done really great job in curbing plastic. India should follow this too. It is sad to see the effects that commercial tourism has impacted this precious area. You provide very insightful information on how to travel smart and responsibly. How heart-breaking is all that trash! The volume is over-whelming. We really should be more mindful of our planet. I can’t imagine throwing my trash on the ground. What great advice! It’s such a shame that some people are so careless with their rubbish… you make some great suggestions as alternatives! Taking public transportation is always a good option for taking better care of the environment. There is definitely a lot to see there. It is so sad to see others being so reckless in their time in nature. I think your post should be an eye opener for many on what real adventurers should be like.